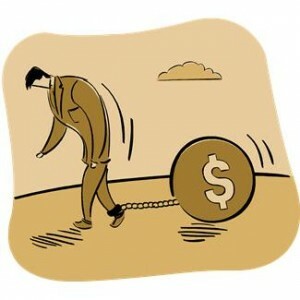 Bankruptcy is intended to give debtors a fresh financial start. Through liquidation or reorganization, it allows them renewed hope and a new opportunity to meet their fiscal obligations. For student loan debtors, however, the path is far more complicated. A recent pair of articles in the Wall Street Journal point out that, for some debtors, a Chapter 13 filing may leave them owing more on their student loans after they finish their repayment plans than when they started. Federal student loans have been, in almost all cases, non-dischargeable through bankruptcy since 1976, and private loans likewise since 2005. By virtue of these laws, student loan borrowers are relegated, in terms of bankruptcy treatment, to a group that otherwise includes embezzlers, tax cheats and “deadbeat” parents. While some recent 9th Circuit cases have offered hope, the lone avenue of discharge — “undue hardship” — remains very narrow. The recent reports from the Wall Street Journal have additional sobering news. While a Chapter 13 filing may help you delay student loan payments and stop harassing collection calls, it is possible that the process could increase the amount of your student loan debt. That’s because, in Chapter 13, your reorganization plan payment goes to compensate all of your unsecured creditors, with your student loan bank receives only a proportionate share of the total. This essentially means that, in many cases, you are forbidden from paying your full student loan payment. Some student loan lenders use this opportunity to assess late fees, penalties and interest. Specifically, the Journal highlighted two debtors: a Pennsylvania mother whose parent’s loan balance swelled from $24,700 to $30,000 during her repayment period, and a California finance executive, whose student loan debt increased by “several thousand dollars.” While exiting bankruptcy with an increased student loan debt is contrary to the spirit and purpose of bankruptcy, it still makes sense for some debtors. The finance executive told the Journal that he chose the “lesser of evils” after crashing home values left him $120,000 underwater on his mortgage. Only in rare cases have the courts allowed debtors to make full student loan payments. In one case, In re Kalfayan, a bankruptcy judge permitted an optometrist to make full payments after she established that she could lose her professional license if her student loan lender declared her in default. Some members of Congress have begun speaking out. Sen. Elizabeth Warren (D., Mass.) stated that the current law “is fundamentally the wrong approach.” Sen. Richard Durbin (D., Ill.) has proposed legislation to repeal the 2005 provision that exempted private student loans from bankruptcy discharge. Although Durbin’s proposal has failed to pass, hopefully it will help bring greater focus and broader discussion to this issue. Filing Chapter 13 bankruptcy, especially if you have student loan debts, can be daunting. In some cases, you may be able to obtain court approval to remain current on your student loans, and avoid a ballooning balance. Even if you cannot remain current, Chapter 13 may still make sense depending on the remainder of your debts. To get a better understanding of the bankruptcy process and how it may benefit you, contact the Bay Area bankruptcy attorneys at the Law Offices of Melanie Tavare. Oakland bankruptcy attorney Melanie Tavare has helped numerous clients with a wide variety of circumstances, including ones like yours. Call (510) 255-4646 for your free consultation today.